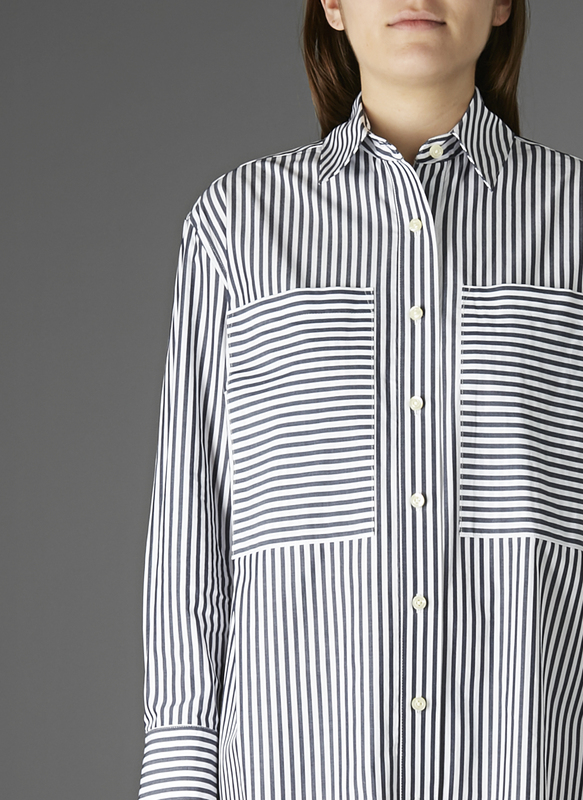 Modernizing a boyish classic. 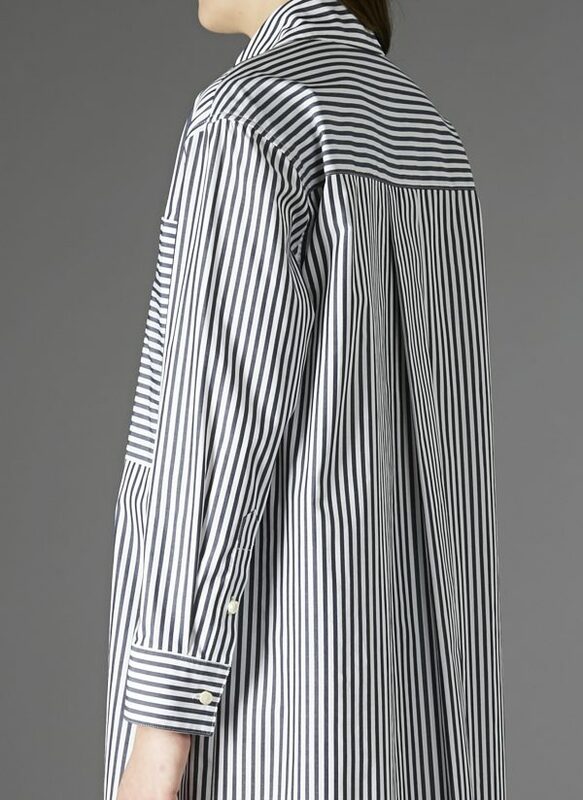 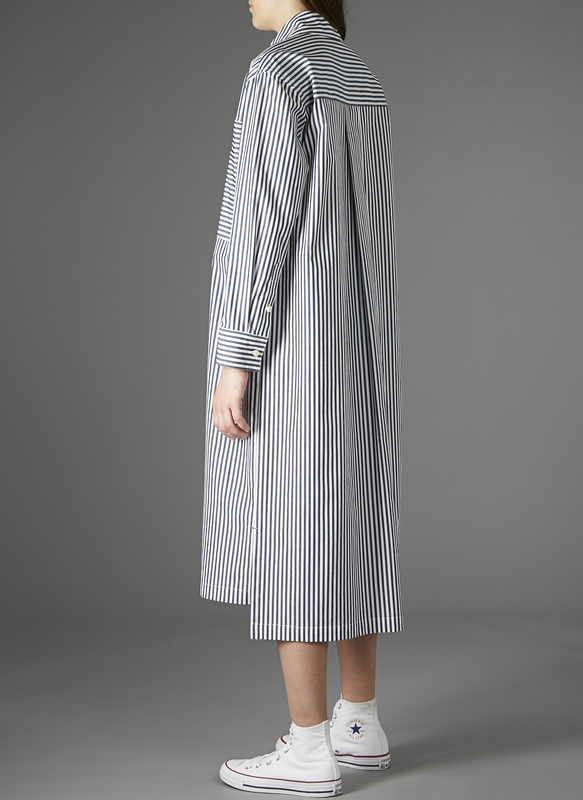 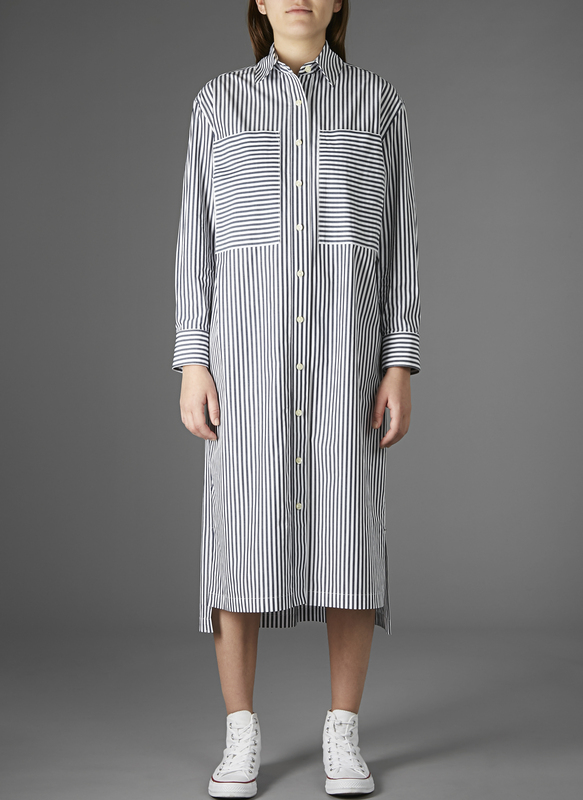 The Two Pocket Shirt Dress can be worn alone, over pants or as a layer under piece. 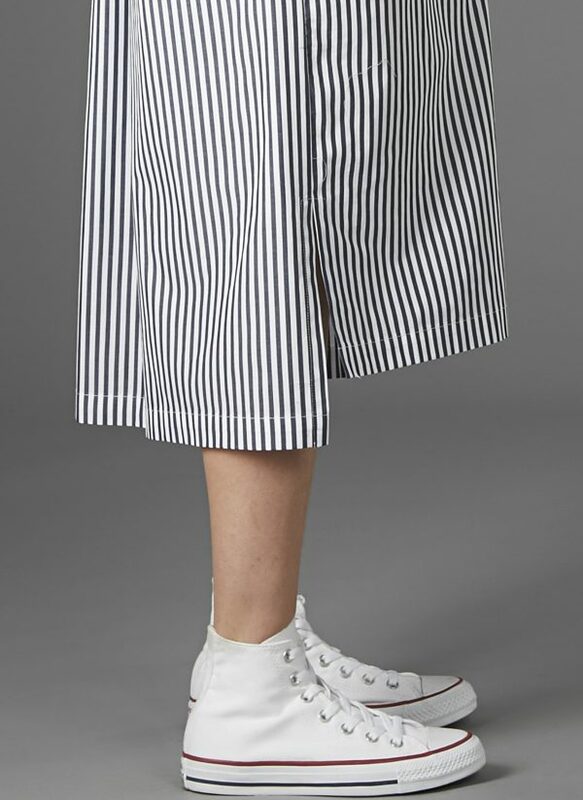 Modern design details like large patch pockets, dropped shoulders an exaggerated back box pleat reinvent a proven classic.